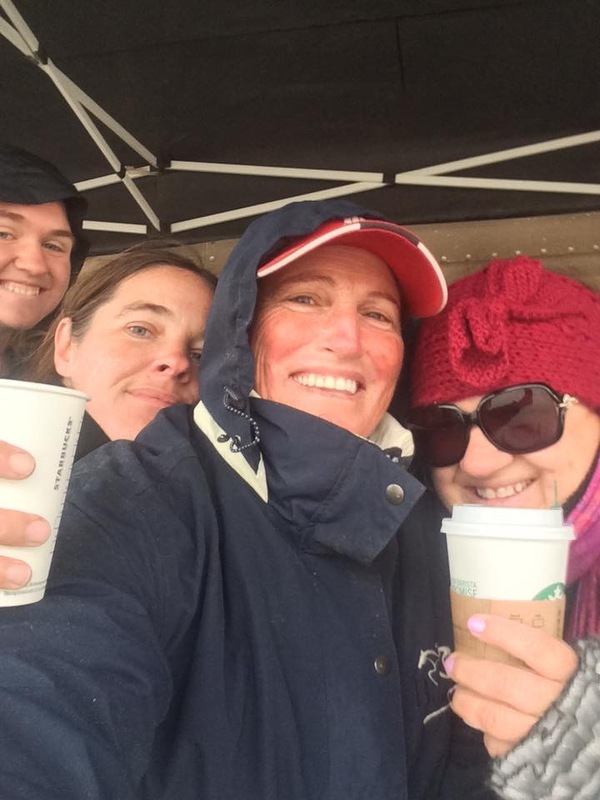 It is another soggy weekend in California, but eventers will always go on. The storms hitting the West Coast this weekend are supposed to be pretty significant and judging by everything I’ve seen on Facebook so far, it is certainly making the action at Fresno County Horse Park quite interesting. Fortunately, FCHP’s cross country course is well suited to the rain and it should be a great early-season outing for those brave enough to endure the weather. Plus, who doesn’t love dramatic horse show photos showcasing wild weather? In the interest of being prepared for anything, I’d strongly suggest packing some water-wings, warm drinks and maybe a snorkel as the storm is supposed to continue through Sunday. The California Department of Food and Agriculture released an announcement on their website earlier this week that a new case of EHV-1 had been confirmed in San Diego County, and the horse had previously been stabled in tent 21 at HITS Coachella from January 21 to February 5th. CDFA released an additional statement that they were aware of additional cases of symptomatic EHV-1 from horses stabled in tent 21. 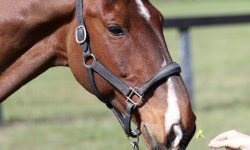 Please horse owners be diligent and contact your vet immediately if you suspect your horse may have been exposed or it is showing symptoms. I have daydreams about going to a horse-faire like this to find my next wee fire-cracker! 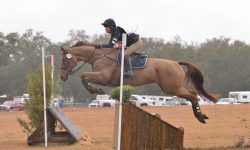 Flooding in town means perfect footing for Susie Hutchison's clinic at Dragonfire! Photo from Earl and Jen McFall's Facebook page. Remember that little rhyme – ‘Rain, rain go away, come again some other day’? We’ve been singing it for several days now here in Northern California and it seems to have worked. 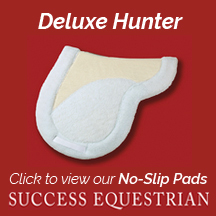 It’s set to be crisp and clear this weekend, just in time for the Susie Hutchison clinic at Dragonfire Farm. I’ll admit that I’m rather excited. I love clinic season almost as much as I love tack-swap season and having the opportunity to audit a clinic from someone I idolized as a kid growing up in the Jumper ring makes it all the more sweet. Now to see if I can retrieve my pony from the mud-bog pasture. Happy weekend, EN! Not just an organizer, but a competitor as well! West Coast Event organizer Robert Kellerhouse is in the ring in 2017! It’s that time of year where all eyes are on Wellington. While eventers are focused on today’s action at the Wellington Eventing Showcase, the entire week has been crammed full of exciting horse-related activities. 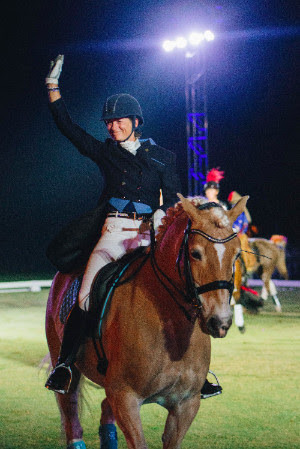 Earlier this week the Palm Beach Polo Club was the host site for Dressage Under the Stars Cancer Challenge, presented by Invictus Farm. The event was hosted to raise money for cancer charities and honor those who have battled the disease. Susanne Hamilton and Lutz, owned by Bettina Hinckley, took home the top honors for their musical freestyle, earning her elected cause, prostate cancer, the largest share of the total donations. 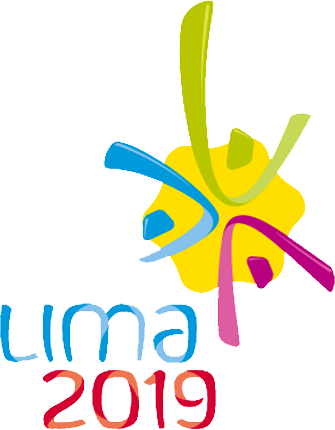 Susanne and Lutz received two scores of 9 and one score of 8 for their freestyle to techno music “Numa Numa” (Dragostea Din Tei) by Moldovan pop group O-Zone. The rides, which were judged on technicality and showmanship, and Lutz, a 14-year-old Halfinger gelding, definitely put a smile on the judges’ faces. What’s the secret to seeing the perfect stride every time? Saturday Video: Hail. That. Cab! With Fresno Country Horse Park hosting it’s Combined Test this weekend, it can only mean one thing! Our season is officially underway on the West Coast. Hooray! 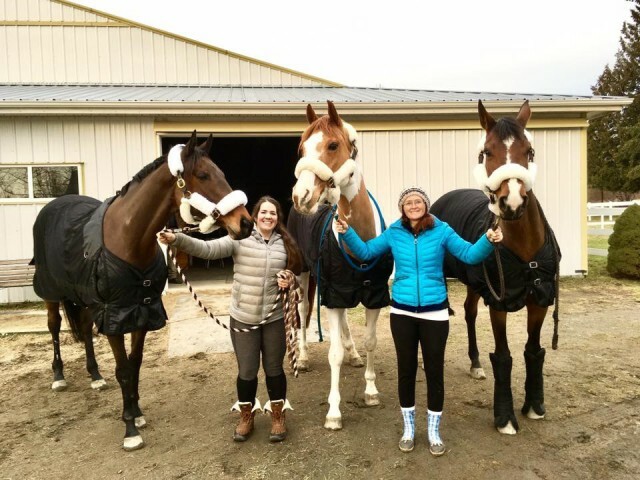 This is one of my favorite times of year because it means soon everyone will be reunited in the strange traveling road-show that is West Coast Eventing. There is nothing more exciting than catching up with old friends, especially when many of us travel so far to compete. Here’s to a fabulous 2017 show season! I’ve been itching for a trip overseas for a few years now. Maybe I’ll visit Poland this August for the European Championships! Not my very first AHSA card, but still quite an old one! Oh the things you find while cleaning house! I spent part of last week cleaning house and got distracted by double-checking which of my memberships were still active for the 2017 season. Sometimes I am gobsmacked as to how many different horse groups I pay membership dues to and for how long I’ve been footing that yearly bill. USEF has undergone one of its semi regular name-changes and some rebranding, but this weekend marks the 100th anniversary. 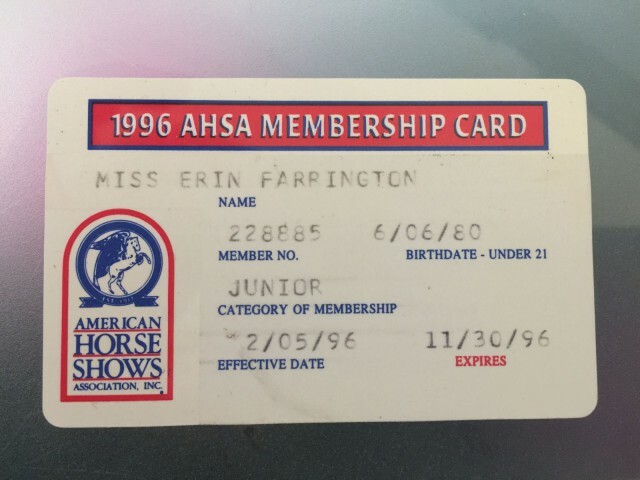 I joined as a junior when it was the American Horse Shows Association, was baffled in 2001 when it became USA Equestrian, then melded with USET two years later to become USEF and now US Equestrian. The history of the association is pretty interesting, if you’re curious about such things. 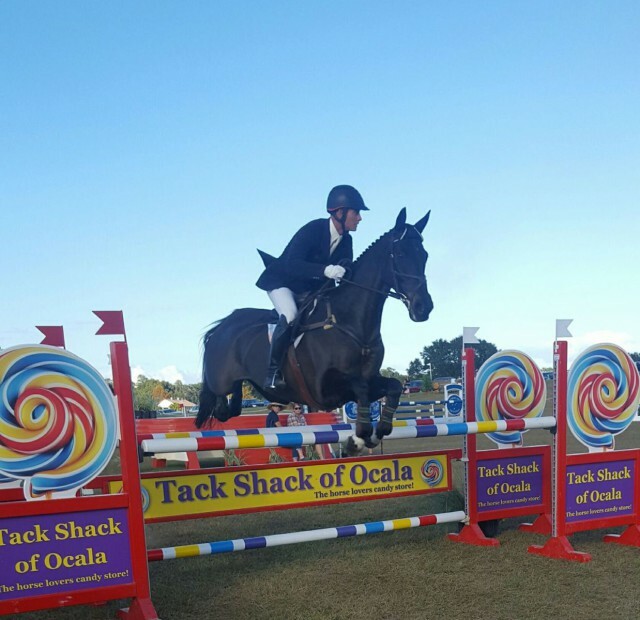 The TAKE2 Second Career Thoroughbred Program’s 2017 season is well under way, with nine horse shows in six states offering our Hunter and Jumper divisions this weekend. 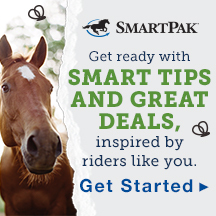 Don’t forget to renew your membership — or enroll a new horse — in the TAKE2 Thoroughbred League! 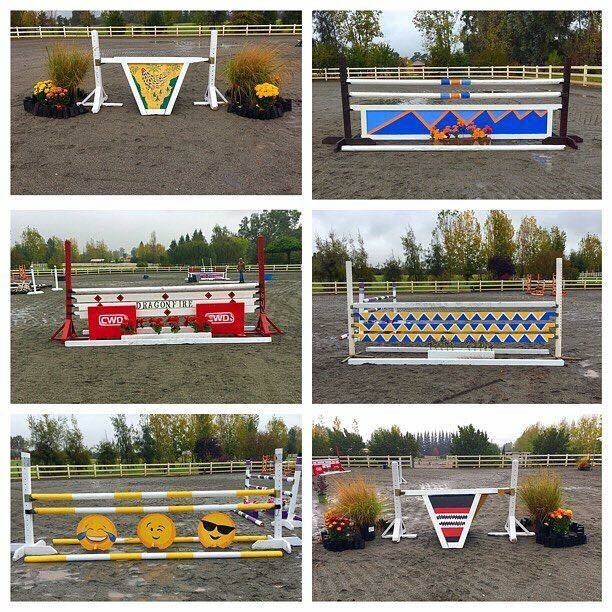 League members earn points in affiliated USEF Thoroughbred Hunter and Jumper Divisions at horse shows nationwide. Year-end awards total $30,000, paid out to 10th place in each division. 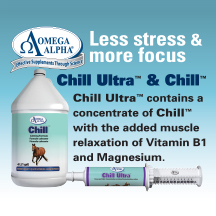 The annual membership fee is $50 per registered Thoroughbred. To join or renew your membership for 2017, go to www.take2tbreds.com/become-a-member/ or click here to download the registration form. The deadline for enrollment is one week following the final day of the competition at which points are earned. 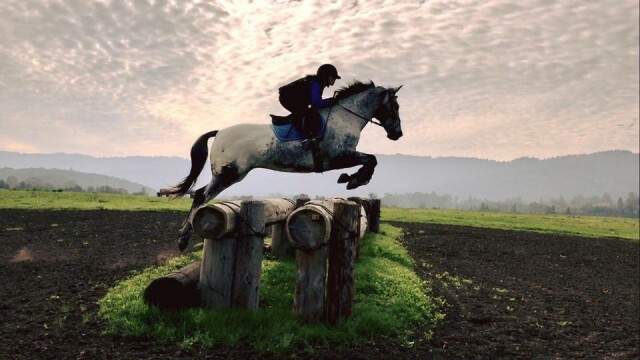 The science of eventing: What happens when a horse hits a jump? So how are those New Year’s Resolutions going? We’ve hit that halfway point in the first month of the year, which is traditionally when the resolve for most of those New Year’s Resolutions start to fade. My resolution to ride more and worry less has struggled to get off the ground due to the torrential downpours that rocked Northern California for the last week or so. 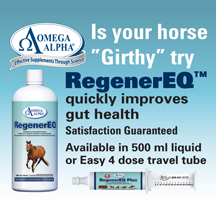 If you’re struggling to stick to your resolution to “ride without stirrups twice a week” or to “clean ALL of my tack after each ride instead of just rinsing off the bit”, don’t despair. You can still pick it back up and get at it. I think I might need to body-clip my wooly beast first. After an extended drought in California, a normal winter is here. Yesterday, I was almost eaten by “quick slop” while attempting to retrieve my mare out of the pasture. I’d forgotten how terrifying it can be to find yourself shin-deep and rapidly sinking while you grapple with the decision to abandon your boots or not. While I have sincere doubts that one normal winter will rectify our extreme lack of water, I am still very grateful. Allegedly we’ll be getting blasted hard up and down the state through the weekend. 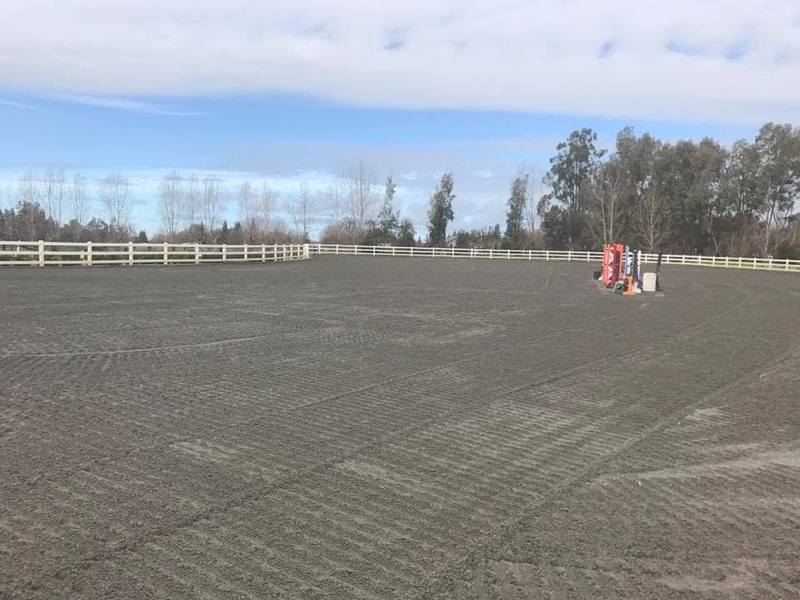 It should make for some very interesting times at Fresno County Horse Park where they are hosting Jock Paget and many other West Coast favorites for a Fundraiser Weekend. I think it's a resolution we can all get behind! It’s the last day of 2016 and almost time to start putting together that show calendar for the upcoming season. Admittedly it’s hard to get motivated to ride when it’s frosty cold outside, but that just means it’s a great time to take care of all of the “house-keeping” items that could possibly put a damper on your first outing of the year. Now is the time to make sure those show clothes still fit, that your memberships are up to date and that your medical armband or bracelet’s information is current. It’s also a great time to double check the manufacture date on your helmet and pick up a new one with all of those gift-cards your thoughtful friends sent your way for the holidays. Mostly, I’m encouraging you to shop because there’s no better way to spend the last day of the year than collecting the things you will take forward in to the next. Best wishes for the coming year, EN! Saturday Video: An oldie, but it still applies! 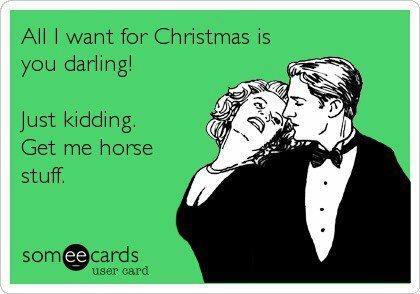 It’s that time of year when significant others learn that horse stuff is always appropriate for any gift-giving occasion! This is it. It’s the zero hour. 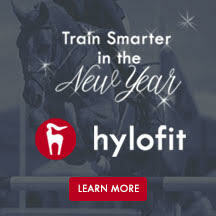 If you are the significant other of a horse person that managed to stumble across EN by checking out your horse person’s web history while they were out at the barn in an effort to figure out what to get them for the holidays, that’s a little creepy but totally understandable and you are in luck. The New Year is right around the corner and with that a fresh competition season. 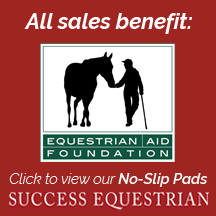 Unless the horse-person you are shopping for is one of those ultra-prepared people with life memberships to every horse-related organization they’re a part of, you can undoubtedly get them something they will not only appreciate but use all year — a membership renewal! Which membership you choose is up to you; USEA, USEF, your local associations or even a membership to school cross country at a local venue are all great options. 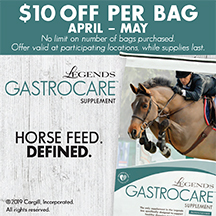 Stop by the grocery store, grab a bag of carrots and a bottle of wine or vodka (AKA a horse show readiness kit) and a card. Print out membership forms for the organization, write a check to cover the yearly cost and pop that in the card. I promise it will earn you kisses under the mistletoe for sure. Saturday Video: If you want to take your last minute gift to the next level, substitute homemade horse cookies for the carrots. Do not skip the adult beverage though. Doing better this year, but still way behind. And so it’s come to this. Just eight days left before the gifting extravaganza that is Christmas and I have done absolutely ZERO holiday shopping. This is only slightly better than last year or any year prior, but I’m still very much behind schedule. 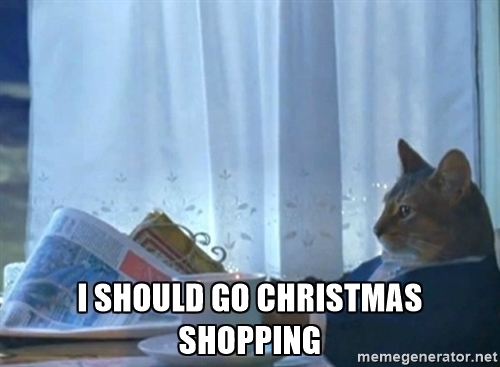 I keep telling myself that one of these days I’ll manage to be one of those super organized individuals who gets the overwhelming majority of their holiday shopping done in the first week of December. Fortunately, the individuals I have on my list this year are all relatively easy to please and I have a good idea of what might bring some smiles to their faces. For now though, it’s time to hoof it to my local tack store today for Independent Tack Store Day! Saturday Video: More holiday cuteness! My aunt, Merry Farrington, with Dixie and Sonny, sometime in the late 80's or early 90's. The holiday season is in full swing. 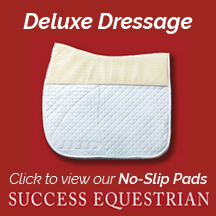 It’s time for those year-end awards banquets, the USEA Convention and barn parties. It’s also time for making hyper-specific wish-lists for your non-horsey friends and family. For the longest time, most everyone in my family had this strange notion that a gift card to my favorite tack shop was too impersonal. 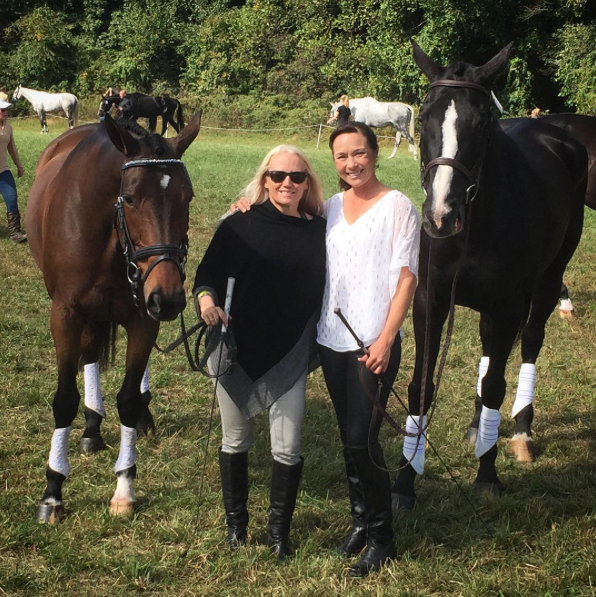 Fortunately I have a fabulous horsewoman in the family, my Auntie Merry. 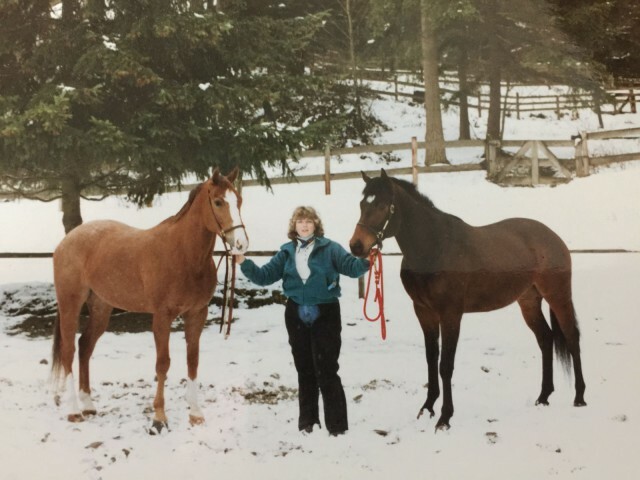 When I was a kid, she not only acted as our personal shopper in finding safe, sane, sound and appropriate horses, but she also was undoubtedly a resource for making sure holiday gifts were the right size for my pony and my cousin’s pony. These days I am able to source my own horses, but she’s still the first and most valued opinion I seek when I’m shopping. If I had one holiday wish for all my horsey friends, it’s that they would all have their own Auntie Merry. Saturday Video: ‘Tis the season for videos like this! December is here! With the calendar flipping to its last page the holidays and the new year are right around the corner. I’m sure most of us are crazy busy with family gatherings and attempting to squeeze in a few minutes of riding time before the dark of night takes over, but now is the perfect time to take a weekend to go through all of your gear and find out what needs replacing. 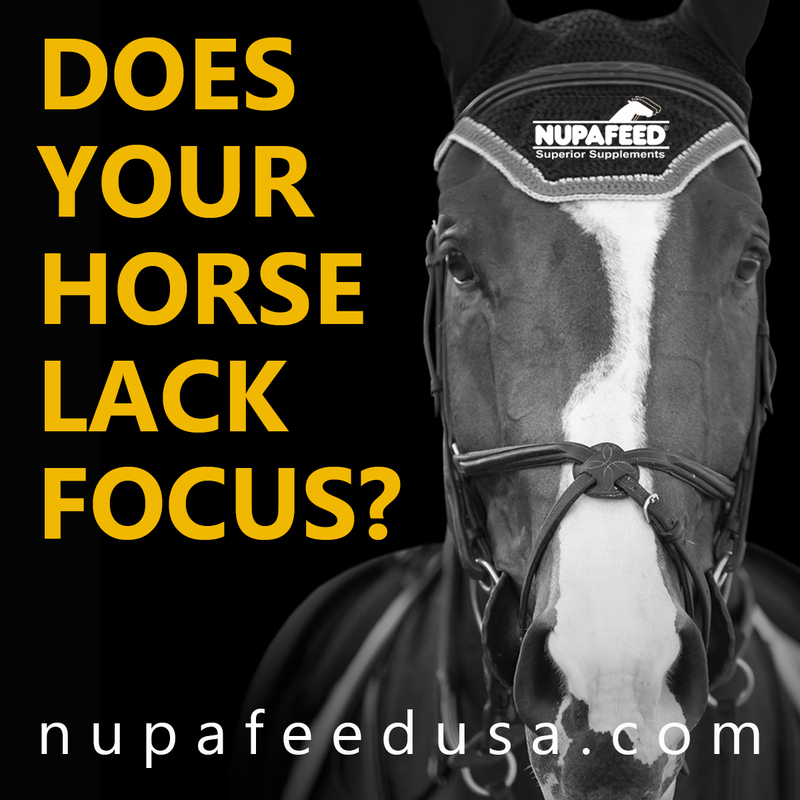 I’m sure it sounds time consuming and potentially expensive today, but you will thank yourself in the spring-time when the show season picks back up. If you only do a safety check one item though, make it your helmet. If you’ve taken a spill or it’s getting on in age, do yourself and your loved ones a favor and make it a plan to replace your helmet. 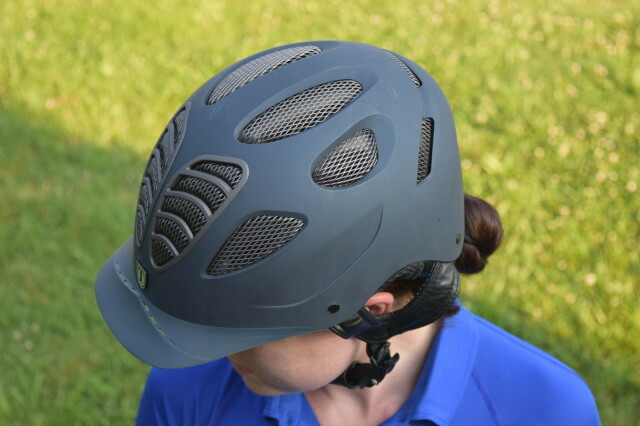 A new helmet makes an excellent holiday gift and any friends or family who buy you one will have the satisfaction of helping to keep you safe AND buying you something horsey. A win-win all around. Saturday Video: An eventing video game? Wait, what? I’ll admit it, I was not ready for the onslaught of The Holidays that blindsided me approximately five minutes after I finished off some last bites of mashed potatoes on Thursday evening. It always surprises me how fast it goes from Show Season to Holiday Season. It’s almost enough to make me want to head to Florida this year! I’ve already heard more than enough Christmas music and counted five Christmas trees tied to SUVs cruising down the road. It’s the time of year where you want those you care about close at hand to share in some of the seasonal cheer. Of course, when that seasonal cheer and closeness gets to be too much, escaping to the barn is the obvious answer. Preferably in the before dawn hours and only returning after dark. From HorseNation: #NoStirrupNovember Week 4: We’re Almost There! Saturday Video: Matt Brown’s time back East has been serving him well! 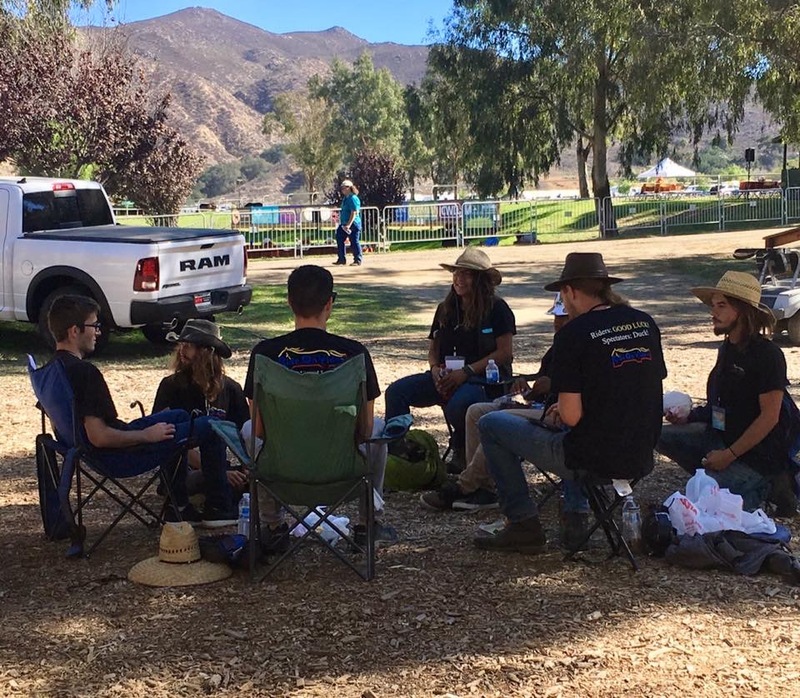 This particular weekend always makes me a bit nostalgic as it signifies the final West Coast event of the season. It calls up an old familiar feeling, similar to the way going on winter-break felt during high school. Everyone is of good cheer and is either looking forward to what the New Year will bring or wondering where the past year has gone. This year I find myself squarely in both camps. 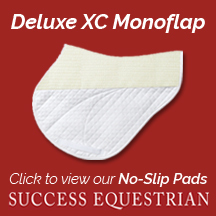 While I’m ready to get on with the evening ritual of snuggly quarter-sheets, podcasts and riding in the dark, the show season will pick up sooner than we expect. If you were like me and took a season to slack off, it’s sometimes a bit worrying how much it feels like you missed in one season. However one of the things that makes eventing unique among horse sports is the way that the community is always willing to keep your seat warm and is excited to show you what you’ve missed since you were away. Here’s to next season! Saturday Video: This is what winter is for. Early sunsets and a handful of Events remaining in the season can mean only one thing – winter is right around the corner. 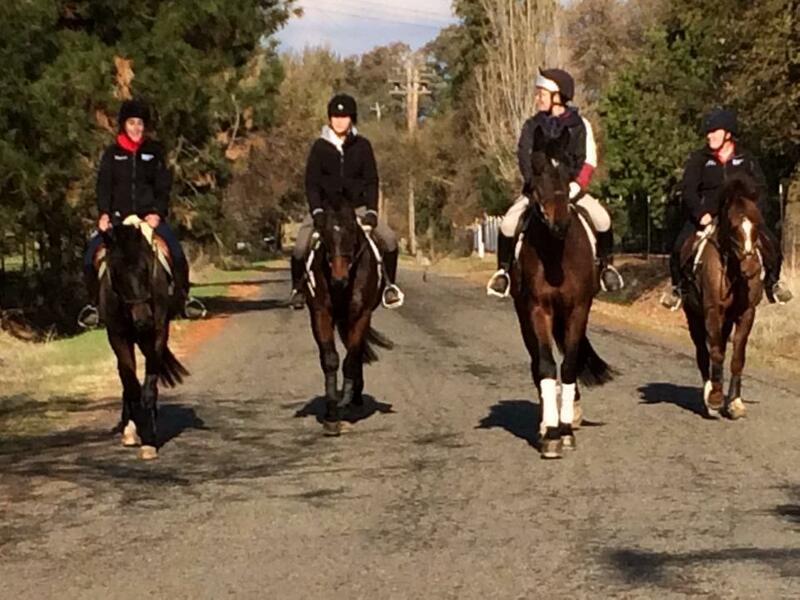 I have a love-hate relationship with winter as a horse person. I love body clipping, quarter sheets and clinics. 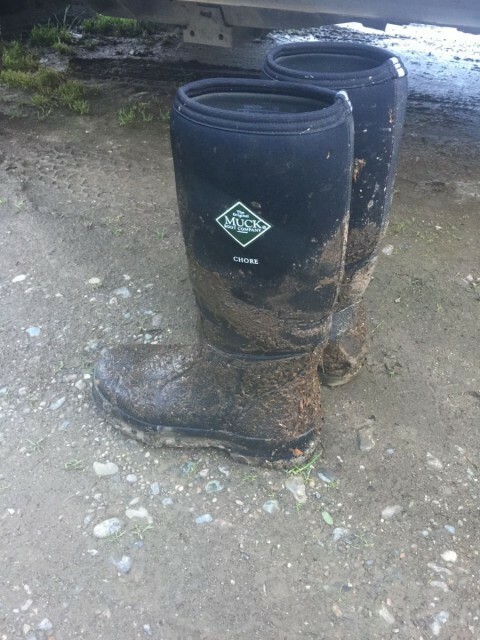 I am not so much a fan of boot-sucking mud, dependence on flashlights and the never ending quest to find a blanket that won’t rub my mare’s shoulders. 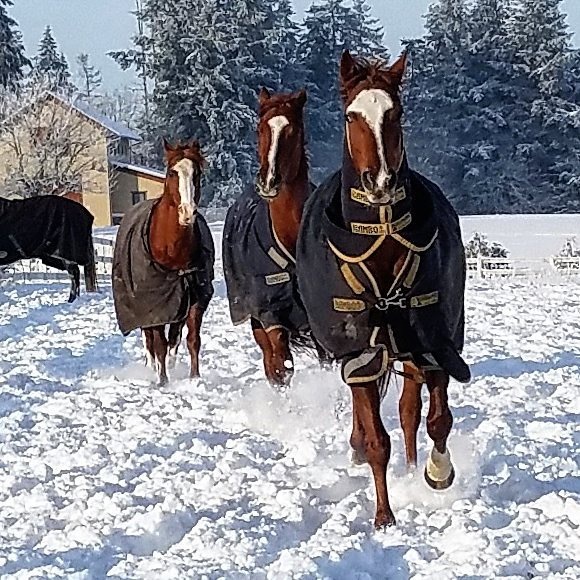 I’m admittedly lucky out here in California that I don’t have to cope with all that fluffy white-stuff that causes much of the east coast Eventing community to break south for Aiken or Florida, but I do find myself fantasizing about a quiet snowy trail ride once in a while. Ah well, guess I will have to settle for a few beach trail rides this winter instead. Here’s to the off-season! It’s almost time to start thinking about New Year’s Resolutions. 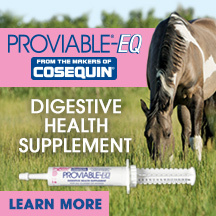 Mine is to eat better at horse shows. Some of the Best in the West! The crew from Ride On Video taking a break at Galway Downs. Photo via Galway Downs on Facebook. If you are competing this weekend, be sure to double check your ride times and your clocks before you go to sleep tonight or you may find yourself on a bit too early tomorrow! Don’t be surprised if you get a little bit of sass from your four-legged friends tomorrow morning. Try not to be too dismayed by it if they are, after all – you’re late as far as they are concerned! On top of that, who hasn’t had a “hangry” moment? Even though we’re losing the later sunsets, this last sunshine-filled weekend looks to be a great one. Best of luck to those of you competing this weekend! New jumps lookin' fly for when WFP rolls in to Dragonfire today! Big time shenanigans on the West Coast this weekend! William Fox Pitt is at Dragonfire Farm today and tomorrow. 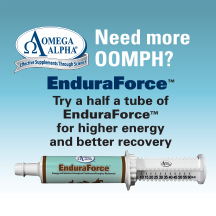 Immediately afterward, he heads south to Copper Meadows for two more clinic days there. To say that we’re a bit excited is an understatement. Even though it’s supposed to be a fairly wet weekend in Northern California, it certainly won’t stop the lucky few who have managed to score a spot in the clinic from enjoying this once in a lifetime opportunity. 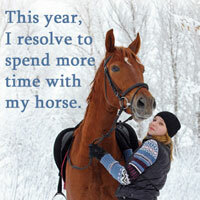 Despite the fact that my mare and I have been in Slacker Mode for a while now (has it been a year already?) I am looking forward to watching and absorbing as much as I can this weekend. Time to go make a thermos of hot chocolate and make sure I have enough space on my iPhone to record everything. NOTE: The second half of the William Fox-Pitt clinic was previously set to be held at Sweet Oaks Ranch, but has been moved to Copper Meadows. 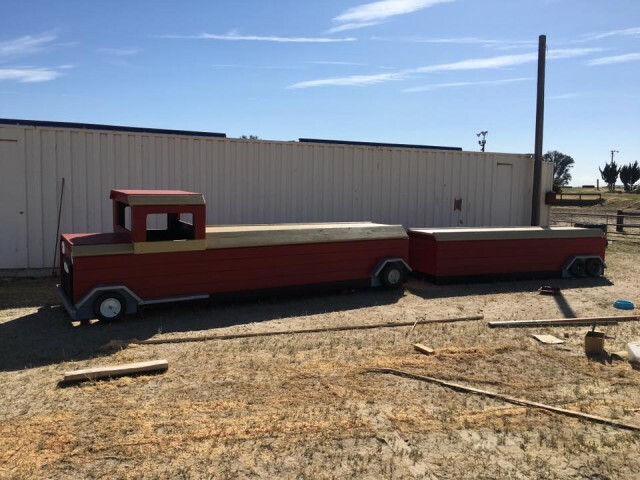 Per the organizers, tickets and ride times will be honored as previously listed. On the off chance your horse gives a hairy eyeball to those emojis at Dragonfire, here’s how WFP recommends you deal with a spook! Ooh la la, it’s cross country day in France! I am truly impressed by some of the gorgeous fences they have at Le Lion d’Angers. The violin jump is easily one of my favorite cross country fences of all time. Not only are the fences impressive, the sheer quality and size of the field this year is outstanding. I have high hopes that as our FEH and YEH programs become stronger across the country, that we will become more and more competitive in these type of events year after year. 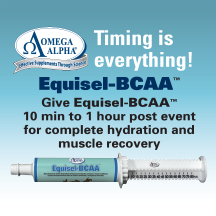 How Long Does It Take Jumping Horses’ Muscles to Recover? The Race to Le Lion: On To The Fun Stuff! We finally got some rain in Northern California yesterday, which means it is very tempting to stay inside, bundled up in blankets stalking scores on the web all weekend long. In truth, it will be an even better weekend to slosh about in arena puddles, paint jumps in the rain-breaks and body clip fuzzy ponies! With Pau and Fair Hill running this weekend, I am certainly grateful for the unlimited data plan on my phone. Isn’t fall the best? The last bits of evening light are to be savored. We are fast approaching 4:30pm sunsets. How about a Fair Hill Helmet Cam? 0.1 off the lead! Go Lauren Go! 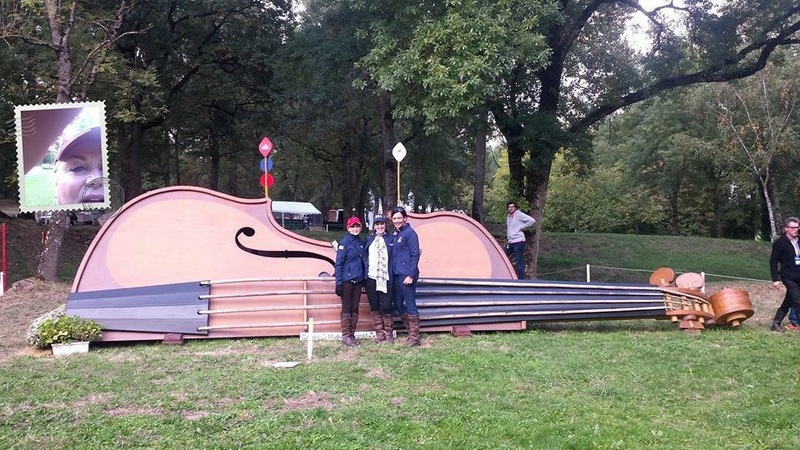 It’s cross country day at Boekelo! When it comes to events around the world, Boekelo is certainly one of my favorites, just because it’s SUCH a fun word to say. Best wishes for a clear, safe and fantastic ride to Lauren Kieffer who is heading in to cross country day just a breath off the lead. She is literally just 0.1 off the lead. If anyone can pull it off it’s most certainly Lauren. Nothing like bringing home some war-wounds. Heal quickly, Gina! Photo from Gina Economu's Facebook page. It’s been a wild week for one of our West Coast Favorites, Gina Economou. 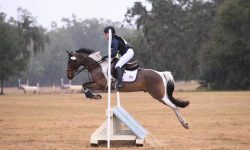 She headed east a short while ago to compete at Morven Park this weekend. 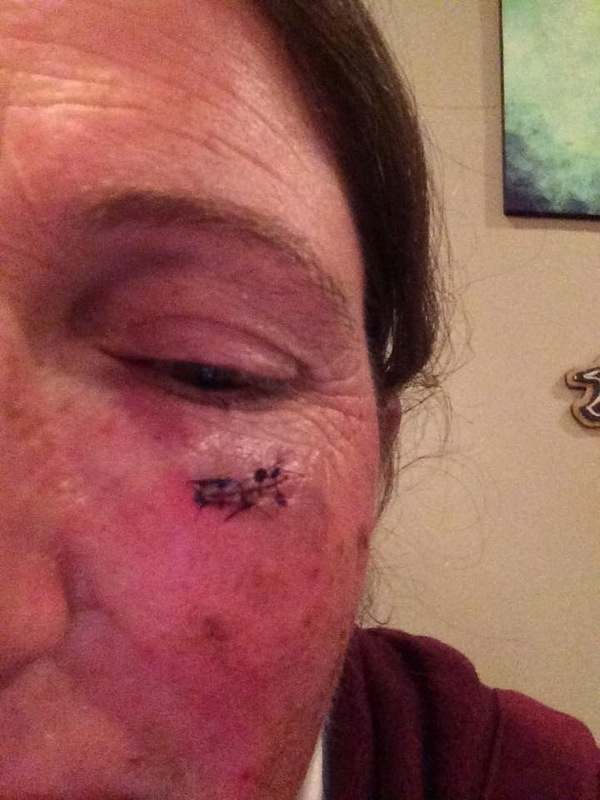 Between a trip to New Bolton and a trip to West Chester Emergency, she has kept us all on our toes via Facebook with her regular updates from the road. 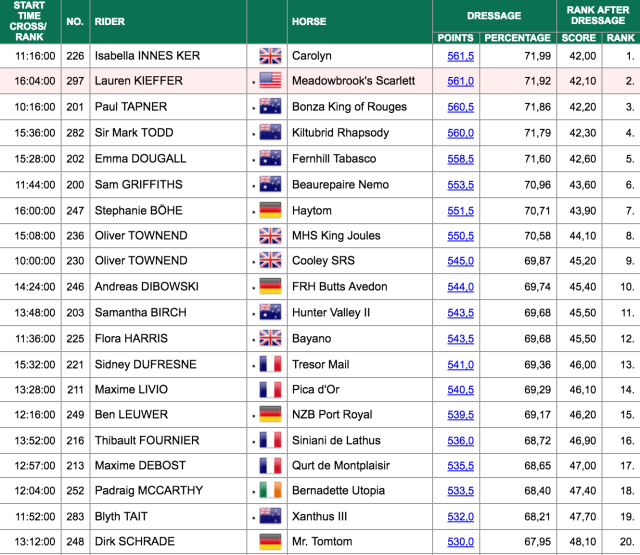 I’m keeping my fingers and toes crossed that things settle down and are a bit less eventful for her during the competition! 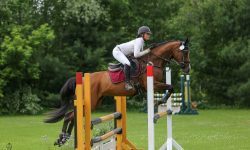 Here’s Gina Economou at Rebecca Farm earlier this year. 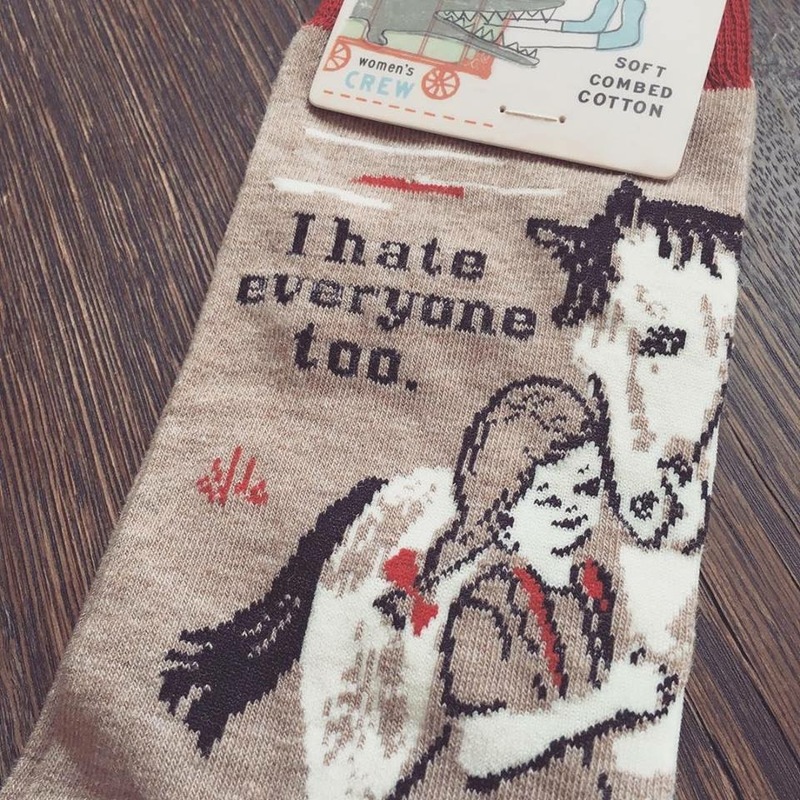 With winter coming, it's time to stock up on socks for the barn! Hey, EN. Happy weekend! I hope you have something exciting planned. Sadly, I am chained to my office job and will be missing the festivities at Twin Rivers this weekend. On the upside, it does mean that I might luck in to some quiet time at the barn to get some painting in. With William Fox-Pitt coming to Dragonfire Farm later this year, it is certainly time to refresh some of the jumps. I’m not sure what it is, but painting jumps has the same meditative quality for me that body clipping a horse does. Part art, part labor-of-love, all relaxing. Time to find my painting duds and get to it. Colbert is horsing around again. Happy International Helmet Awareness Day! Today is a great day to replace yours if it’s more than five years old, has taken a spill or doesn’t fit properly. Or perhaps you don’t need a new helmet, but want something light weight for next summer, in a different color, or in a different style. In honor of IHAD, participating retailers all over the world are having excellent sales on helmets. 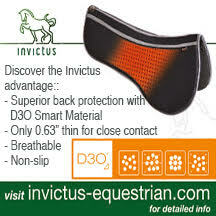 As any Eventer knows, you need three of everything, so if you’ve been meaning to add a helmet for a specific phase, today’s the day! If you buy a helmet in-store today, consider asking a retail associate to help you check the fit. 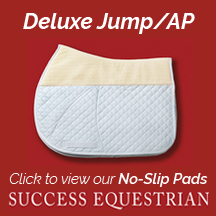 Most sellers are trained in fitting and sizing, which can not only ensure your comfort but also your safety. A properly fitting helmet should be snug equally all the way around your head (not just side to side or front to back), and when you wiggle the brim, your forehead should move with the helmet. If it slides up and down independent of your skin, it’s too big. Now you know! Saturday Video: If you’re looking for a lightweight helmet, check out the Tipperary Sportage!